For the uninitiated, on Android you can typically opt-in to enable installing apps from unknown sources, allowing you to download them from other locations and install them in what is called "sideloading." Depending on the source you get apps from, it could be a security concern, but Google and many other OEMs do provide the option on Android. Up until now, the only way to sideload apps on Chromebooks was to flip over into Developer mode (not Developer Channel, that's a different thing), which is a tedious operation with its own drawbacks, and much more complicated for users than it is to sideload apps on Android. The developer in the Chromium bug tracker was hesitant to provide a specific schedule as the feature has apparently been kicked down the line a few times already as a result of other development priorities. 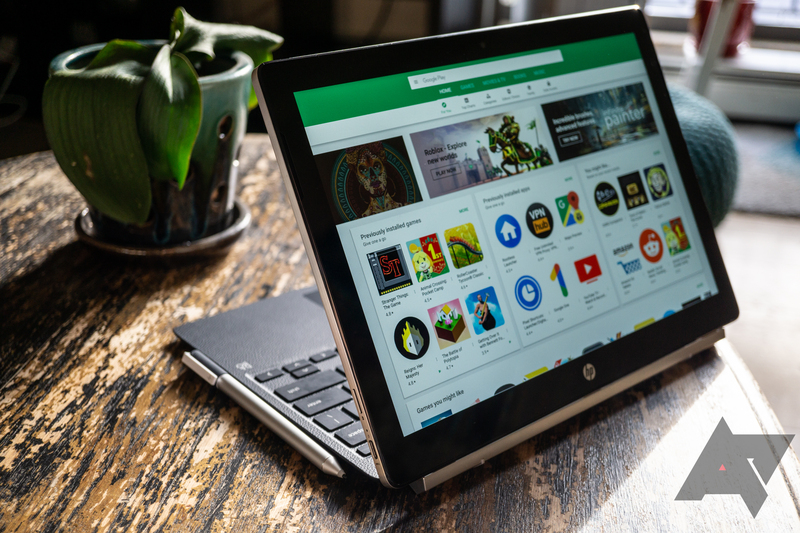 About Chromebooks notes that, based on the historical release schedule, version 74 or 75 would place the new feature as landing sometime between April or June, and that's assuming Google can keep the predicted timetable. The wait could be even longer. Thanks for being patient while we sort this feature out. I can give some details, but don't want to commit to an exact milestone given that this has been punted a few times already. We're still working on this, and would like to be able to deliver in the next couple milestones (M-74/M-75 timeframe hopefully). Unfortunately it's been pre-empted a couple of times due to higher priority issues; for instance, you may have seen we've recently launched Android Pie on Pixel Slate and have been starting to roll it out to more devices. We'll provide more details on this bug when we can, hopefully in the form of landed code reviews as we get further into the development of this. While it doesn't sound like we'll have the feature any time soon, it's good to know that it's on Google's radar, even if plans change. The loud beeps and warning messages that come with Developer Mode can be quite obnoxious.